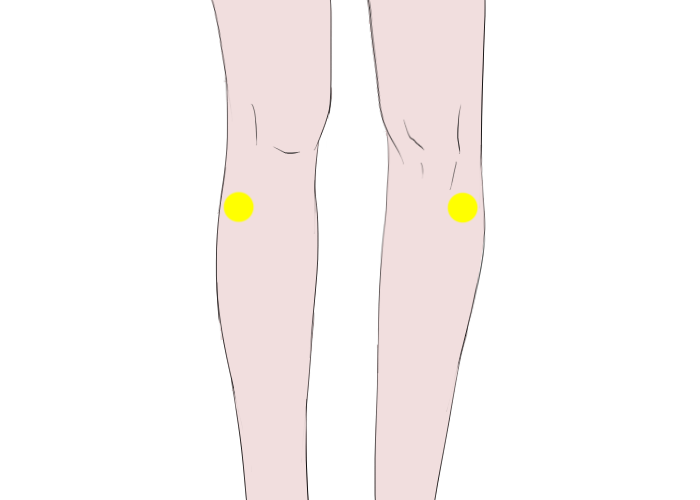 Acupressure is one of the most commonly employed alternative medicine techniques which make use of both, pressure and acupuncture. This technique exerts pressure on the acupuncture points. Lots of people are of the opinion that this therapy speeds up your digestive process, helping the stomach to empty faster which helps you prevent gas problems. Let us find out how acupressure points for gas work. Here are some of the main acupressure points on our body for gas that you can try to soothe bloating and other stomach discomforts. Where They Are: Stomach points are positioned on your body's middle lines. The first point is situated right above your navel (Center of Energy) while the other is located about 2 centimeters below it (Sea of Energy). How It Helps: To relieve gas problems, you need to apply pressure on the acupressure points for gas on your stomach. This reduces abdominal contraction, constipation, stomach pains, frustration, lower back pain, emotional stress and indigestion heartburn. For getting efficient results, you should practice putting pressure these points regularly. 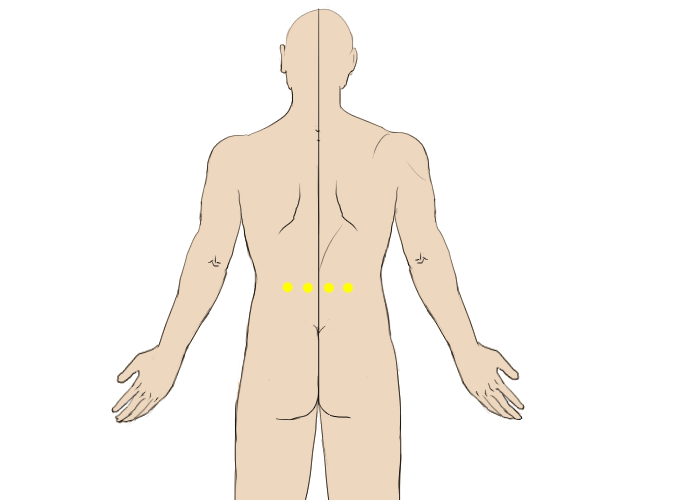 Where They Are: The lower back acupressure points for gas are located on the lower side of your body on the waist level. They are also referred to as the Sea of Vitality. There are 4 lower back points for gas and are located on the level of your waist. How It Helps: By applying pressure on the lower back acupressure points for gas, you can get relief from indigestion, abdominal and stomach pains. If you have a weak back, do not exercise these pressure points as it can aggravate your back pain. 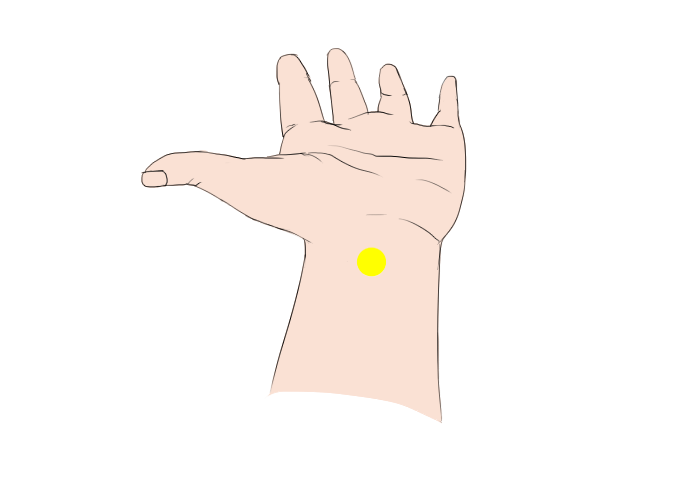 Where They Are: The acupressure points for gas on your hand are located on your wrist's backside, also known as Inner Gate Point. They are located in the middle of the back of your wrist. How It Helps: Applying gentle and mild pressure on the hand acupressure points for gas helps in eliminating stomach aches, nausea and also improves your digestion process. 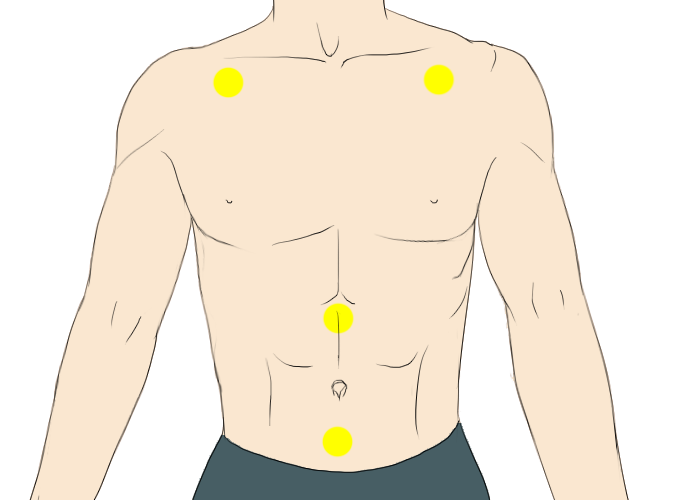 Where They Are: The acupressure point for gas known as the Stomach 36 is also known as Zu San Li that means 'leg three miles'. The name basically refers to these points can reinforce your energy and enables people to walk for three miles easily even when they are exhausted. To find this point, bend the leg slightly and put 4 fingers below your kneecap. Start with your index finger at the kneecap's base. The point exists where your little finger will rest on the outer side of your shinbone. Try finding a soft spot there. How It Helps: By applying pressure on this point, you can enhance your overall energy, boost your immune system, enhance digestive disorders such as nausea, vomiting, bloating, gas, constipation and diarrhea and improve weak digestion. Where They Are: Two really important shiatsu acupressure points for gas are located on your feet. By crossing your ankle right over the knee, you can find these points with your thumb. One is positioned on the top of the arch and about one finger's width away from your foot's ball. The second point is situated where the bones of your second and big toe meet on your foot's top. How It Helps: Applying pressure on the first point for about one minute calms a stressed stomach, stimulates circulation and reduces gas. By applying pressure on the second point for one minute helps in reducing bloating and gas. 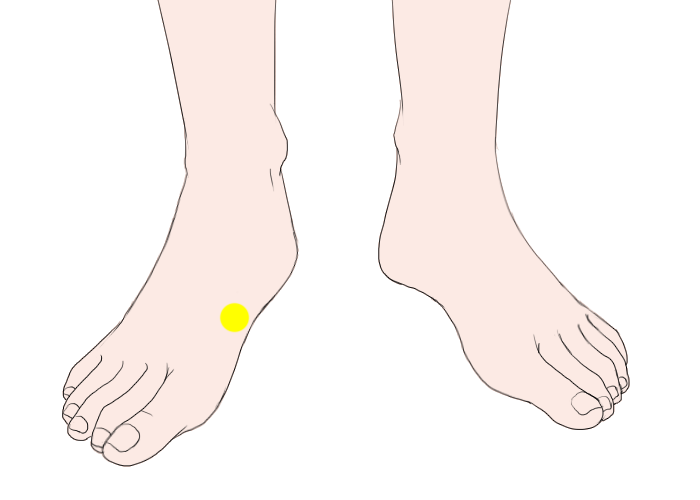 Where They Are: This acupressure point is situated about 3 finger widths right above the bone of your inner ankle. How It Helps: By applying pressure on this point, you improve the healing of all conditions pertinent to your lower abdomen, including flatulence, abdominal distention and colitis. Start by applying light pressure on all the acupressure points for gas. Make sure to apply four levels of pressure and press deeper every time. When you reach the deepest point, massage the region in circular motions. Using essential oils with acupressure can improve its effects. The oil can be massaged right on the acupressure points for gas, or it can be applied after the acupressure therapy has been exercised. Relax yourself in a calm and comfortable position, take deep breaths and keep your eyes closed when massaging the acupressure points for gas. Repeat the therapy as often as it comforts you because there isn't any limit on its frequency. If you don't feel comfortable massaging the acupressure points for gas yourself, you can ask for someone else's help.